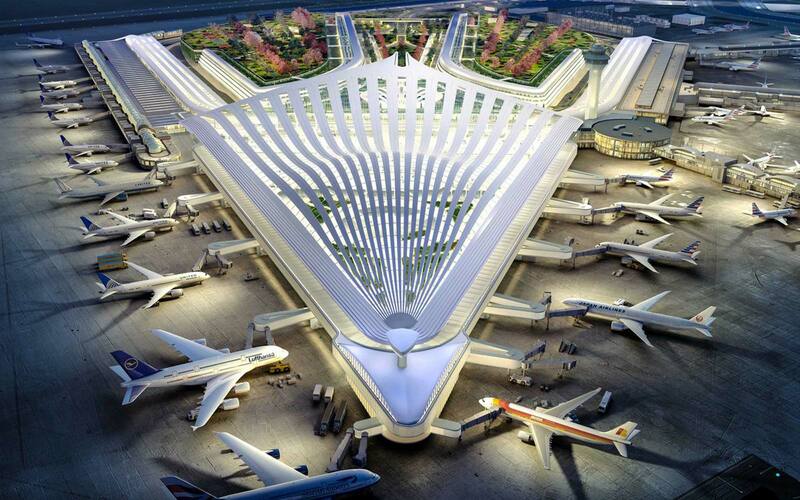 Santiago Calatrava’s vision is on the shortlist of airport redesigns. This article originally appeared on Departures.com. Chicago O’Hare is expecting a redesign in 2028—one that will cost a projected $8.5 billion—and officials tasked world-renowned designers with the task of coming up with the new design. According to DesignBoom, the Chicago Department of Aviation shared five of the submitted designs last week. 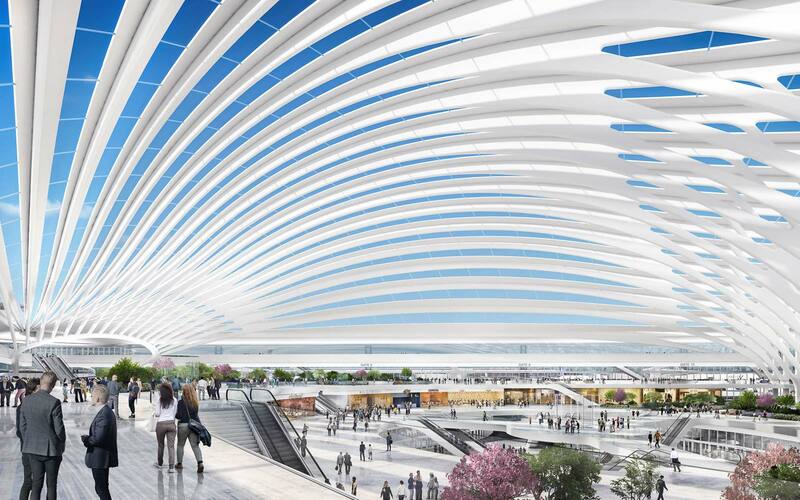 Of the entrants, Spanish designer Santiago Calatrava is on the shortlist with a proposed design that includes elements paying homage to the city it resides in. Described as an “airport city” by DesignBoom, the concept seamlessly integrates retail, accommodations, and conference centers in an airy design that all connects to one main hub—a transportation center that links directly to downtown Chicago. 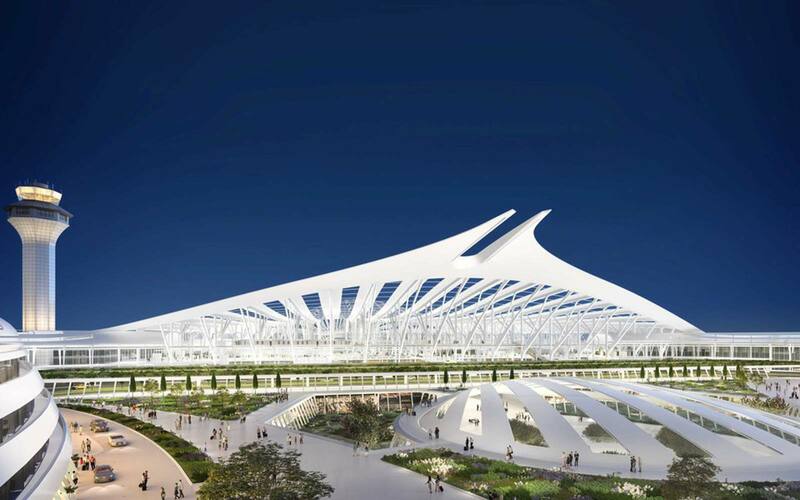 “We wanted to give the airport a face, one that would combine into a single center,” Calatrava shared in an interview with Chicago Business. “No more Terminal 1, Terminal 2, Terminal 3." Focusing around one specific area not only will help ease navigation and cut down on any accidental wrong turns, but it will naturally make getting between terminals quicker. Calatrava’s design manages to focus on both efficient navigation and also beauty: the shopping and dining options are all located within interior gardens that are easily accessible by all airline gates. By focusing on an efficient space, Calatrava also manages to cut down on the airport’s carbon footprint: the design would result in a 10 percent decrease in physical footprint, meaning the area affected by the noise caused by the coming and going of planes would also shrink in size. Aesthetically, the design has a number of call-outs to its home city. The roof is meant to mimic the shell design of the Chicago seal and the on-site orchard pays tribute to the lush space of yesteryear that the airport now presides over. Harder to spot is the shape of the terminal and transportation center, a “Y,” according to DesignBoom, that recalls the same shape of the Chicago River and its distributaries. Until a decision is made, you can find us with our fingers crossed, dreaming of an airport meal among Calatrava’s airport garden. You can read more about Calatrava’s design here.